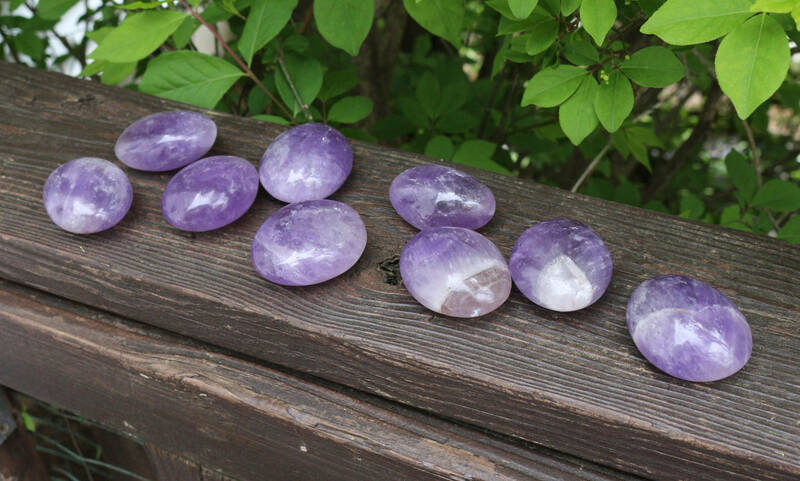 Hand-carved and hand-polished Chevron Amethyst Palm Stones. Large and Medium-sized, incredible color and dimension with lots of tiny rainbows throughout. Please use the dropdown menu to select. 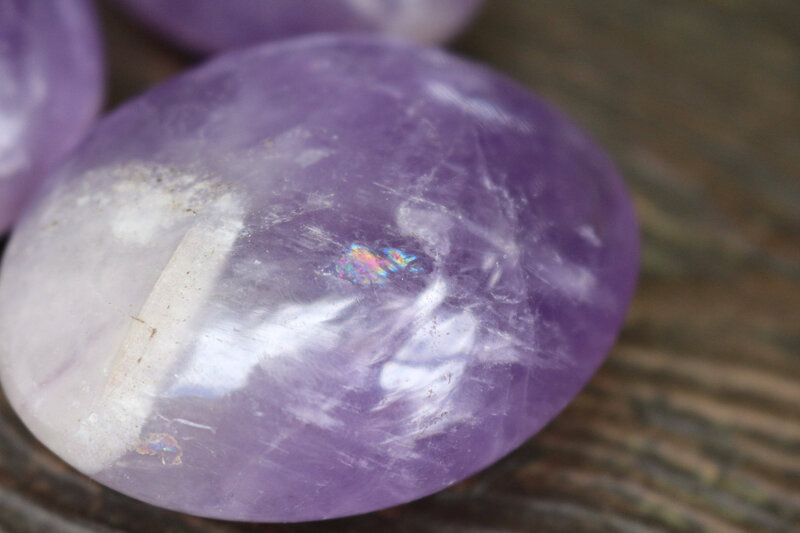 Chevron Amethyst combines the strengthening and enhancing qualities of Quartz with the stress relieving qualities of Amethyst. 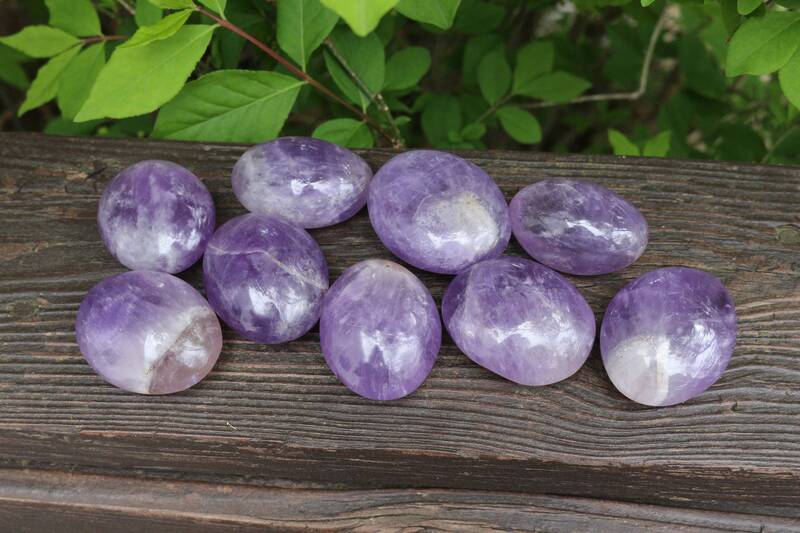 Chevron Amethyst is used to help remove resistance to change and to dissipate and repel all types of negativity. 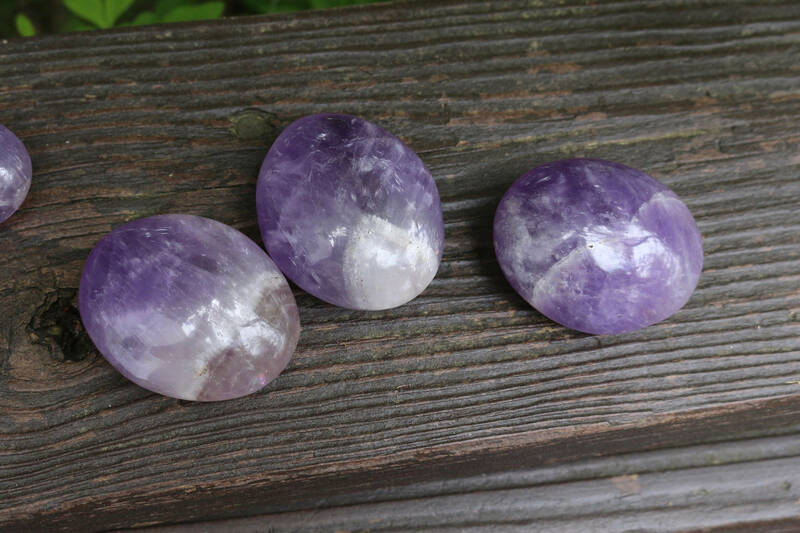 Chevron Amethyst is also said to deepen the meditative state. 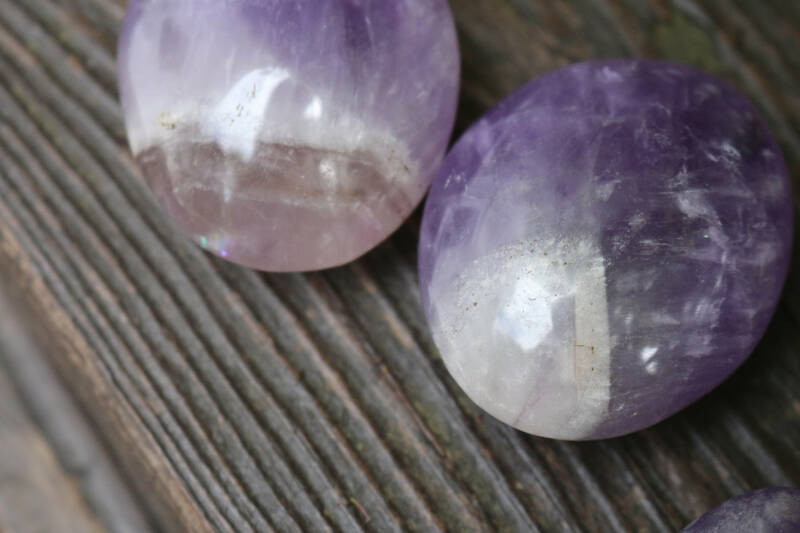 Chevron Amethyst is associated with the Third Eye and Crown Chakras.